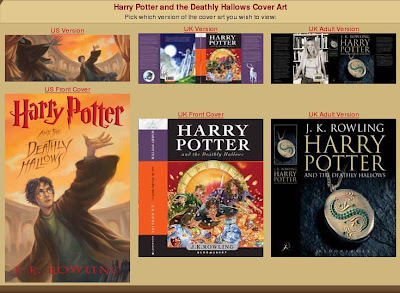 the leaky cauldron has the UK and US versions of the newest Harry Potter book, "Harry Potter and the Deathly Hallows". I didn't know there was an adult version. Oooo!